Can you believe that Summer is almost here? I know that Spring just started, but the temperatures are rising here in the south, so it may as well be summer! 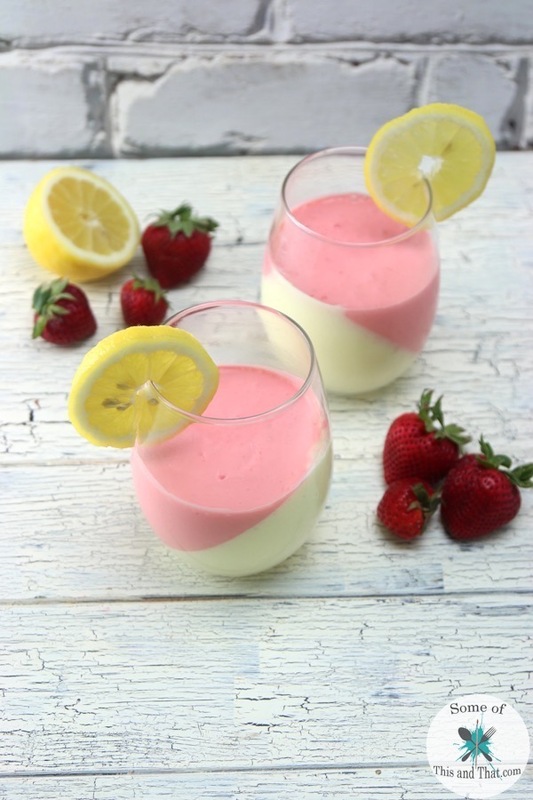 My favorite part of Summer is sipping lemonade while the kiddos are playing, so today I am turning my favorite drink into my new favorite dessert, Strawberry Lemonade Mousse! This dessert is light and fluffy and full of summer flavor. It is, of course, no bake so it is quick and easy to throw together for when you have guests over. It is a fun combination of my favorite Peanut Butter Pie Recipe and Pineapple Cheesecake Recipe. 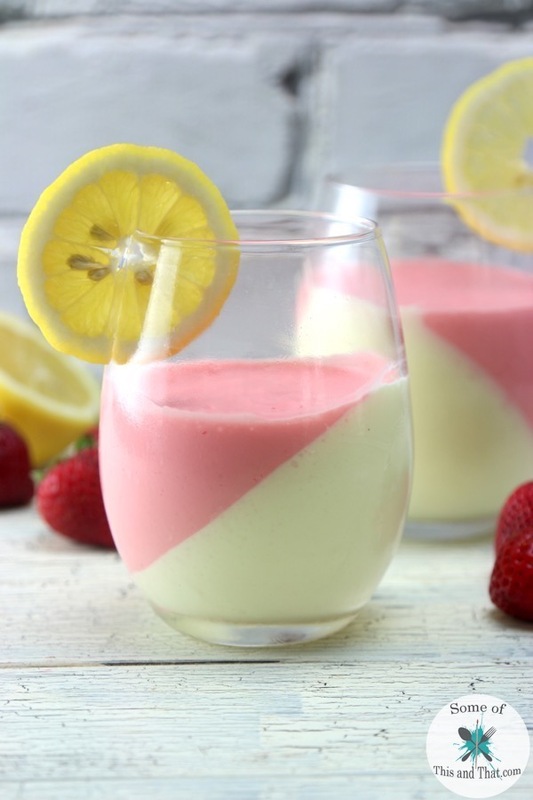 Another great thing about this Strawberry Lemonade Mousse is that it can be customized to make any flavor that you want! Want Blue Raspberry? Change out one ingredient and make Blue Raspberry! Dissolve Lemon Jello into 1/2 Cup Boiling water and then add cold water, stir until cool. 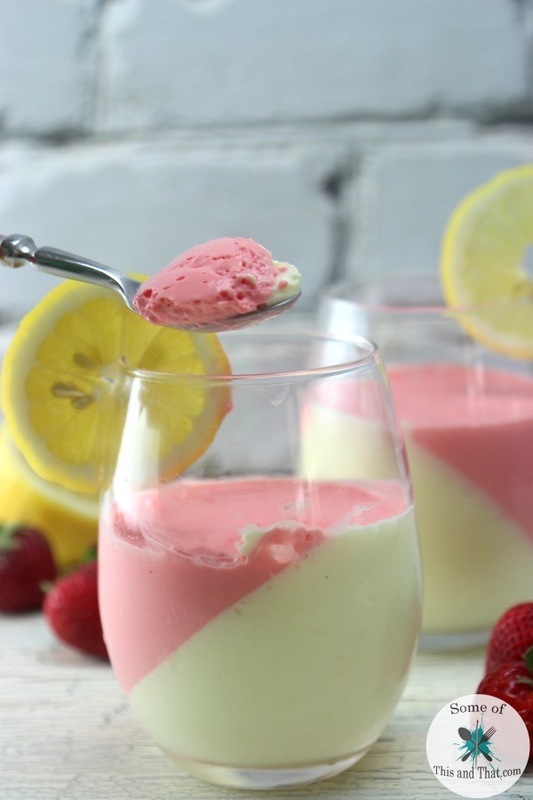 In a blender, combine Lemon Jello mix with 8oz Cream Cheese and 3/4 Cup Cool Whip. Pour into serving bowls and place in the freezer for 1/2 hour. 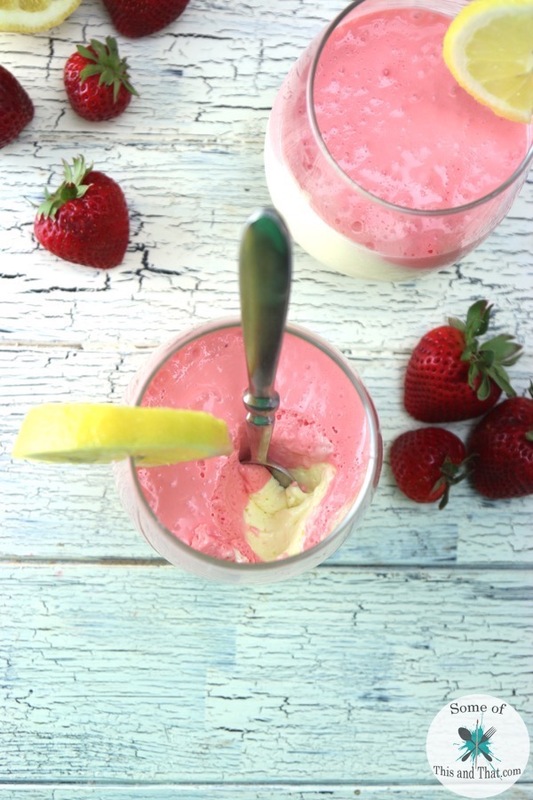 After a half hour, repeat the process with the Strawberry Jello and pour over Lemon flavored mousse. What is your favorite treat in the Summer? Need some other quick dessert ideas? Check out our Pinterest board!